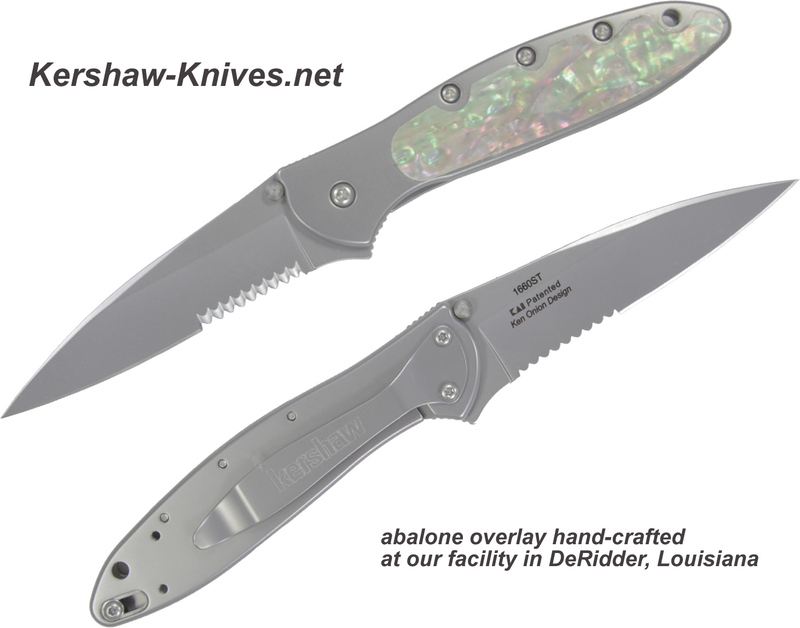 Be exclusive and one of a kind by owning for yourself a Kershaw Leek with an abalone adorned handle. 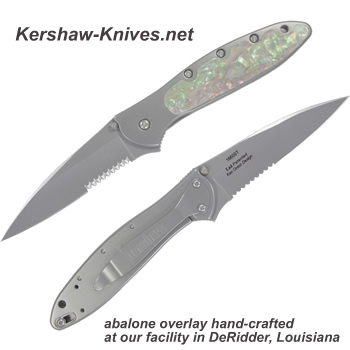 At our facility in DeRidder, LA we cut abalone slabs with precision lasers and adorn the handle of these Kershaws. 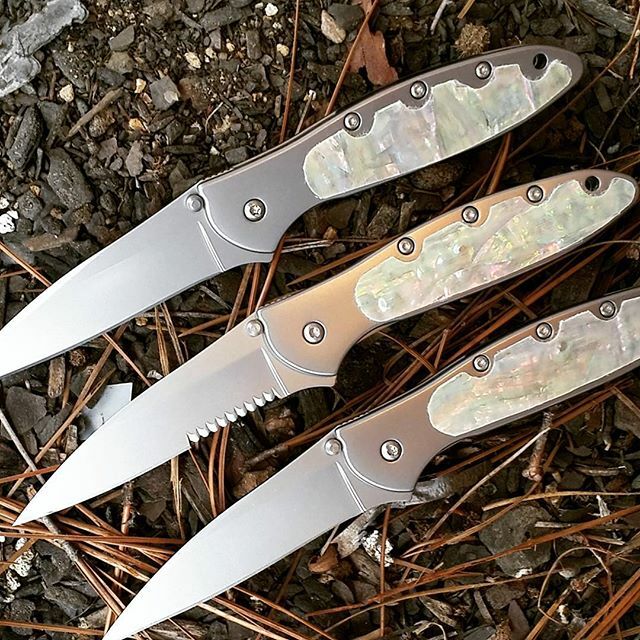 Abalone is a composite material made from crushed seashells. It is known for its beautiful colors and lustrious appearance. No two are alike!